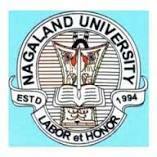 Mizoram University delivered an employment notification to fill 06 Non-Teaching Security officer, Multi Tasking Staff (MTS), Lower Division Clerk (LDC) and Lab Attendant. Interested eligible candidates who are looking jobs in Mizoram may apply by prescribed format before 31-03-2017. Himachal Pradesh Postal Circle Department had announced an employment Notification Recently on 23rd February 2017. The HP Postal Department had announced the Notification Under Advertisement No: R&E/77-17/2016. Himachal Pradesh Post Officer Department had Published the Notification to fill 25 Vacancies of Postman Group C (Level) 3 Posts. Aspirants Interested in Central Government Jobs can use the HP Postal Circle Recruitment 2017. Postal Department of India had announced the Latest Government Jobs under HP Postal Circle Department. Himachal Pradesh Postal Circle Department is Inviting Offline Applications for Himachal PradeshThe Candidates who are Eligible can Register Offline for the HP Postal Department Postman Recruitment 2017. The Offline Applications of Himachal Pradesh Post Office Postman Recruitment 2017 are available up to 25th March 2017. The Complete Information of HP Postal Circle Recruitment 2017 Such as Eligible Criteria, No of Vacancies, Application Process, Registration fee and other Details had given below. Golden chance for you… Apply as soon as possible.. Air India Limited has depicted a notice of Air India Recruitment 2017 – 18 for filling up 2000 Pilot, Cabin Crew Bharti for different locations. Eligible job fighters may apply for Air India jobs by filling application form with all important details on or before the last date. MECON Limited invites application for the posts of 21 Junior Executive, Assistant Project Engineer & Various Vacancies on contract basis. All Eligible and Interested candidates may Apply before last date 31 March 2017. For more details like Qualification, eligibility criteria, how to apply, and other details are given below. All India Institute of Medical Sciences Recruitment Notification has been Publish on their official website: www.aiimsbhubaneswar.edu.in Candidates is hereby notified that they can submit their application to AIIMS Bhubaneswar on or before last date of Application. As per The official advertisement of AIIMS Bhubaneswar, near about 178 Professor Post will be filling up by All India Institute of Medical Sciences. Last date for Application 06th April-2017. University of Delhi (DU) has recently issued the Notification at the official portal du.ac.in. The Delhi University is inviting the applications from the eligible candidates for the Delhi University Professor Recruitment 2017. The University is planning to fill the 552 Associate Professor and Professor Posts in the Department. Interested candidates for the Teaching jobs can apply for the Assistant Professor Jobs in Delhi through the Delhi University Professor Recruitment 2017. Eligible and qualified aspirants can apply for the 552 vacancies before the last date 28th March 2017. Madhya Pradesh Samvida Shala Shikshak has recently proclaimed the Notification for the MP Vyapan Recruitment 2017. The MPPEB has dispatched Notification for the 41500 Samvida Shala Shikshak (SSS) Bharti for the Grade-I, II, III posts on the Contractual Basis. Graduation completed candidates can apply for the Shikshak jobs in the Madhya Pradesh through Online mode. Aspirants can fill the MP Vyapam Application Form 2017 from 28th February 2017 to 27th March 2017. Surat Municipal Corporation has dispatched the SMC Shikshan Sahayak Recruitment 2017 Notification at the official portal. As per the official announcement, it is clear that there are 63 vacant posts of Assistant Teacher. The work seekers in the Gujarat state can apply for the 63 posts before the final date 21st March 2017. Intelligence Bureau (IB) invites applications for the post of Deputy Director, Deputy Central Intelligence Officer, Deputy Central Intelligence Officer and Junior Intelligence Officer-II on deputation (including short-term contract basis). Before applying for the IB Jr Intelligence Officer Jobs, the Candidates must read the Notification carefully. The Contenders must attend the Written Exam for this Intelligence Bureau Recruitment 2017. Sikkim High Court, Gangtok Notice No 03/Comp/HCS has recently published an employment Notification to recruit 05 Vacancies of Civil Judge/ Judicial Magistrate. Interested eligible candidates may apply in prescribed format by download though www.highcourtofsikkim.nic.in before 27-03-2017. Government. APGENCO AE Recruitment Notification is releasing to fill up the 94 vacancies of Assistant Engineer Posts. The online application for the APGENCO Recruitment available dates will be updated soon. Check Furthermore, details regarding the APGENCO Jobs Notification refer below details. APGENCO Recruitment 2017 Notification is going to release very soon. 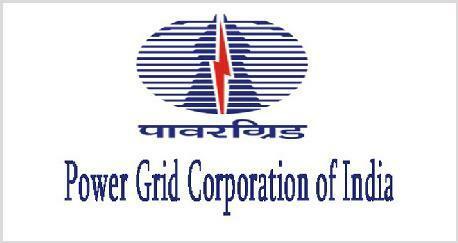 Andhra Pradesh State Power Generation Company Limited planning to recruit the 94 Assitant Engineers. It is the Good News for the People who are looking for the Latest Govt Jobs in Andhra Pradesh. Interested and Eligible candidates can apply for the APGENCO Recruitment. The online application for the APGENCO AE Recruitment is available soon. Applicants can also check the Furthermore, details regarding the AP GENCO Asst Engineer Jobs like Age limit, Educational Qualification, Application Fee, Selection Process, Pay Scale, How to apply etc on our page. National Aluminum Company Limited (NALCO) invite prescribed format applications to recruit 07 vacancies of Laboratory Assistant, Junior Accountant, Laboratory Technician Grade-III, Nurse Grade-III. Interested eligible candidates may apply before 31-03-2017. Malaviya National Institute of Technology (MNIT), Jaipur has published notification for the recruitment of 94 Deputy Librarian, Assistant Librarian, Assistant Registrar, Technical Assistant, Male Nurse, SAS Assistant & other vacancies. Eligible candidates may apply online from 21-01-2017 to 20-02-2017 (Extended up to 30-03-2017) by 05:00 PM. Other details like age limit, educational qualification, selection process, application fee & how to apply are given below…. 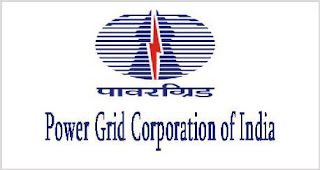 Odisha Hydro Power Corporation Ltd. (Bhubaneswar) has recently released a recruitment notification to fill 10 vacancies of Staff Nurse/ Multipurpose Health Worker, Multipurpose Health Worker, Pharmacist. Interested eligible candidates who are looking jobs in Odisha (Bhubaneswar) may apply in prescribed format before 10-04-2017. OHPC employment notification more details like age limit/ Educational qualification/ Selection process/ How to apply/ Application fee and other details given below. Zilla Panchayat Korba (Chhattisgarh) has recently released a recruitment notification to fill 126 vacancies of Staff Nurse, DEO, Lab Technician, Pharmacist, Technician ANM and other. Interested eligible candidates who are looking jobs in Korba (Chhattisgarh) may apply in a prescribed format before 16-03-2017 up to 17:00 hrs by speed/ Registered post. EdCIL Recruitment 2017 – 132 SPAs, Consultants & Suport Staffs Posts: EdCIL ( India ) Limited has published a recruitment notice for 132 SPAs, Consultants & Suport Staffs Posts on contract basis. A great chance to Ph.D. / Master’s Degree / Graduate / B.Com 12th passed candidates, who are looking for Government of India job, they can apply for EdCIL Recruitment 2017 – 132 SPAs, Consultants & Suport Staffs Posts. Candidates can apply online application format through the website www.edcilindia.co.in on or before 19.03.2017 at 12.00 clock mid night. If you are interested to join the EdCIL Recruitment 2017 – 132 SPAs, Consultants & Suport Staffs Posts, so do not wait for the last date, as early as possible. For more information about age limit, educational qualification, selection process, scale of pay, application fee & how to apply are mention below. VMMC SJH Recruitment 2017 advertisement has been issued recently. The VMMC (Vardhman Mahavir Medical College) in collaboration with the Medical Superintended, Safdarjung Hospital has come up with a Latest Government Jobs opportunity for the recruitment of 151 candidates for the post of Senior Residents. The candidates who are searching for Senior Resident Vacancies in Medical Colleges and Hospitals, they can apply for VMMC SJH Senor Resident Recruitment 2017. Vardhman Mahavir Medical College & Safdarjang Hospital Senior Resident Jobs going to filling up which are against 151 permanent jobs. This is the very good news for the aspirants who are looking for a job in New Delhi. VMMC & Safdarjung Hospital Sr Resident Vacancies 2017 will be filled soon. Shaheed Hasan Khan Mewati (SHKM) Government Medical College (GMC) has recently released a recruitment notification to fill 53 vacancies of Faculty in SHKM College at Haryana, Interested eligible candidates who are searching medical jobs in Haryana may apply by prescribed format application before 09 and 16-03-2017. GMC Mewat employment notification more details like age limit/ educational qualification/ selection process/ how to apply/ selection process/ written exam syllabus application fee details given below. Applications are invited from Bihar Public Service Commission for the posts of 1065 Assistant Engineer. All eligible and interested candidates may apply online on or before 12 April 2017. Qualification, eligibility criteria, how to apply, and other rules are given below. IOCL Paradip Refinery Jr Engineer Recruitment 2017 Notification has issued in the month of March 2017. TheIndian Oil Corporation Limited has issued an Official Employment Notification regarding the recruitment of Junior Engineer Assistant – IV Posts. IOCL Paradip Refinery Recruitment 2017 is the great opportunity for the freshers who are looking jobs in the IOCL Department. Aspirants who are searching for Latest Government Jobs in Orissa may apply for the current vacancy in IOCL Paradip Refinery Department. Applicants who meet eligibility criteria may submit their application form on or before the last date of application submission which is 27th March 2017. Government of Chattisgarh Health Department Recruitment 2017 – 06 Medical Specialist, Specialist Pediatrician & others. Government of Chattisgarh – Health Department, Narayanpur Recruitment 2017. Applications are invited from Health Department Narayanpur, Government of Chattisgarh for the post of 06 Medical Specialist, Specialist Pediatrician & other vacancies on adhoc basis. Walk-in-Interview 15 March 2017. Qualification, eligibility criteria, how to apply, and other rules are given below. RRB ALP Recruitment Notification, Official Advertisement will be released soon on Official Website. There are 23801 Vacancies offered in various Regions as mentioned below. Aspirants need to be qualified as per criteria setup by Indian Railway. More Information Like commencement of Online Form, Application Fee, Eligibility Criteria, Relaxation & Exam Dates will be mentioned in Railway RRB Notice. In India there are only one department who have huge manpower and many jobs offer for different post, yes guys it’s our Indian Railways Department. In the Railway Department there are so many jobs vacancy announced by the year 2017. The Indian Railways play the most important role in Indian economy and Now it is expanding its criteria. The maximum part of Indian economy is Railway Revenue. So we can say it is very important department for our country which provides better opportunities to the job seekers. Central Tool Room and Training Centre (CTTC) Bhubaneswar is looking for suitable and dynamic persons to fill up the following positions on contract basis for a period of 05 years from the date of appointment which can be renewed from time to time till the date of superannuation/ resignation after review of performance. The last date for submission of applications is 20th March 2017. Homi Bhabha Centre For Science Education (HBCSE) is inviting applications from eligible applicants for the post of Scientific Officer through Advertisement No. 02/ 2017 before the last date that given below on this web page. For more info about HBCSE Recruitment like as education qualification, age limit, salary details, selection process, postal address, how to apply, important dates, etc applicants need to read given below all information very carefully. ANZ Bank Recruitment inviting Applications from eligible applicants for the posts of various. Candidates can fill application form in online mode via official website of Australia and New Zealand Banking Group Limited that is www.anz.com before last date. More information about ANZ Bank Recruitment like Hiring Process, vacancy details, Remuneration, age Limit, Essential qualification how to apply & important date etc are given below. Bharat Sanchar Nigam Limited (BSNL) has published notification for the recruitment of 2510 Junior Telecom Officer vacancies in BSNL. Educational Qualifications	Under BSNL JTO recruitment, candidates should possess BE/ BTech or equivalent in Telecom/ Electronics/ Radio/ Computer/ Electrical/ Information Technology/ Instrumentation Engg. or M.Sc (Electronics)/ M.Sc(Computer Science). IRB Police Constable Recruitment 2017: Indian Reserve Battalions IRB Police Recruitment 2017 Notification/Application Form for 17000 IRB Special Police Battalion Bharti of Constable and Class IV Vacancies in Jammu Kashmir, Jharkhand, Chhattisgarh and Odisha States available at official website. IRB posted the advertisement for the 17000 constable post. All the interested candidates please refer the official website and check your eligibility. If you are eligible to give the examination than apply online for the available posts.